Bau, which is horse oil, is originally from old china. Bau is not a medicine, but people have used Bau from long time ago as health goods. Bau is made of 100% natural material so that you do not need to be worried about any side effect. Now, Bau is really remarkable for effective in allergy, atopy,and hay fever.Our shop highly recommends Bau series to you. 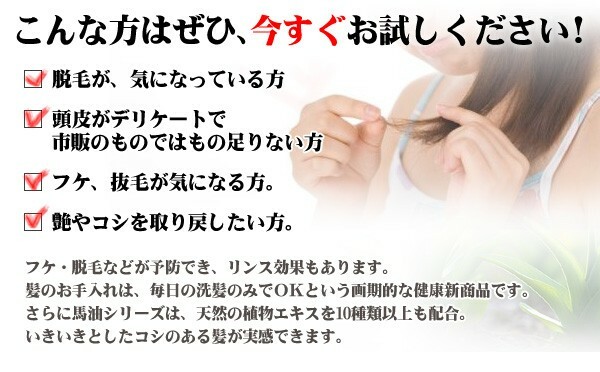 It is said that these Bau series are effective in hair restoration and growing up hair.Then, these Bau series make your hair smooth, and repair your daily hair damage.